Expected Cut Off Marks for UPPSC PCS 2018 Pre Exam is available Now. Check Category wise Cut Off Marks below…. 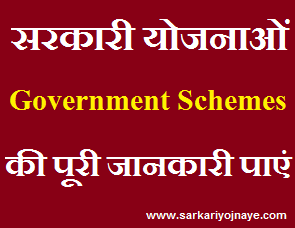 Uttar Pradesh Public Service Commission has invited Online Application like every year for PCS 2018. This Year First Time Online Application Correction was provided to candidates. This Year in PCS 2018 Exam, There are vacancies for Assistant Forest Conservator, Regional Forest Officer, SDM, Deputy SP, Excise Inspector, GIC Principle, Block Development Officer, Labor Enforcement Officer, Food Safety Officer, Deputy Registrar, District Information Officer & other various Posts. Various vacancies for Lower Subordinate Cadre also included this year. UPPSC PCS Exam is scheduled to be conducted in the month of August, 2018. But it was postponed & Conducted in October, 2018 UPPSC conducted PCS Pre Exam 2018 on Sunday 28th October, 2018. After Exam Candidates must be looking for up pcs cut off 2018 shift wise. 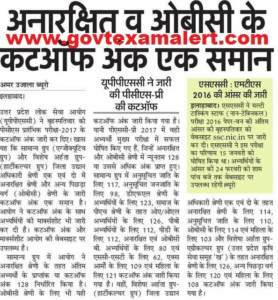 Here you will find All updates & UPPSC PCS Pre Exam Cut off Marks 2018 & UP PCS Previous Year Cut Off. UPPSC PCS 2018 Pre Exam : It is well known that UPPSC PCS Pre Exam was conducted with unchanged Exam Pattern. There were Two Papers in Written Exam of 200 Marks comprising of 200 Questions. There is Negative Marking in the Exam. Paper 1 was of General Studies while Paper 2 is on CSAT Pattern. PCS Pre Answer Keys will be available Shift wise & Paper wise. UPPSC PCS Pre Exam conducted in Two Shifts i.e. 09.30 to 11.30 AM & 2.30 to 4.30 PM. PCS Pre Exam was conducted on 1381 Centres of 29 Districts. 62.42% Candidates appeared in Exam. Total 6,35,844 Candidates has applied for this exam. Candidates can get Information of UP PCS Cut Off Marks 2018 from this Page Cut Itself. PCS Pre Exam Official Cut Off Marks may different & vary. It depends on Nature of Question Paper, No. of Vacancies, Total No. of Seats. We will provide of You Expected UP PCS Cut Off Marks 2018 after completion of Exam of Both Shifts. Get Updates from this Page itself. Paper 2 CSAT of the Preliminary Examination will be a qualifying paper with minimum qualifying marks fixed at 33%. So Candidates have to gain 66 Marks in Paper 2. It is mandatory for the Candidates to appear in both the papers of Preliminary Examination for the purpose of evaluation. Therefore a candidate will be disqualified in case he does not appear in both in papers. The merit of the Candidates will be determined on the basis of marks obtained in Paper 1 General Studies of the Preliminary Examination. NOTE : Expected Cut Off Marks for UPPSC PCS Pre Exam 2018 is available Now. Check UPPSC PCS 2018 Expected Cut Off Marks below…. 88 question is correct after reducing minus marking in obc catergory any chance. mere total 140 marks bnte hai….. general…. exam up pcs dated 16/12/2018 …..chance hai??? I have 95 correct and 15 wrong in gs 1 and 65 correct and 10 wrong in gs 2. What is the chance for mains I am belong in SC category. And also please any one tell me, is the cutoff number decided with respect thereto to post preference ??? I have attempted 111,where 88right and 23 wrong,what will be the chance. I have done 42 right &14 wrong in paper 1 & 63 right & 20 wrong in paper 2 total 105 right & 34 wrong in up pcs 2018. Kindly tell about the possibility of Selection. i has 60 qus Right G.S first & 30 qus Right in secound what is chance to S.C categriy ple Reply..
how many incorrect questions ??? I have 86 right and 22 wrong question in ex servicemen cat. Any probability for mains? ?